Nobody could have possibly imagined the legacy that Mohamed Bouazizi’s desperate act of self-immolation in late 2010 would have. His tragic death inspired the Tunisian revolution, and as such proved a catalyst for the widespread ‘Arab Spring’, which moved next to Egypt. These passionate uprisings in the name of human rights and governmental reform provide an intriguing backdrop for director Hanan Abdalla’s In the Shadow of a Man (2011), which screens courtesy of DocHouse this Thursday. 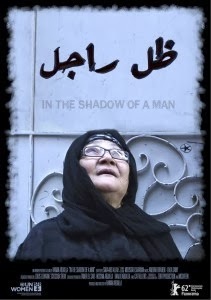 Abdalla’s documentary takes in four diverse characters to paint a picture of how women are treated across Egypt. Suzanna is a single woman in her early thirties who runs a small store in Damietta, in the Nile Delta. Politically awakened by the recent revolution, she’s strongly independent and her shop acts as a haven for discourse on patriarchy. The similarly-aged Badreya, on the other hand, is long-married and lives an unfulfilled life on a farm in upper Egypt. Wafaa and Shahinda are both older women: the former, a divorcee who, after travelling abroad, has settled as a nanny in Cairo; the latter, a widow that continues her late husband’s progressive work by leading her region’s first farmer’s union. Through a series of candid interviews, Abdalla nimbly weaves between her subjects, stitching them together to expose the conflicted nature of modern Egyptian woman. In the very same breath, Suzanna expounds the importance and freedom of being unattached whilst giddily preparing to meet a suitor. Badreya reveals the casting aside of her dreams of art school, only to leave her estranged and unfulfilled. Wafaa recalls fighting to end her unhappy marriage, whilst all three speak out against the traditionalist oppression under which they live. Further still, Suzanna’s friend Heba delivers a hortatory monologue about feminine freedom, only for everyone to fall about laughing when she rushes off to tend to her husband. It’s in balancing the self-knowing irony of these women’s dialogue with the far more serious aspects of the ongoing onerous male-dominated culture that Abdalla and In the Shadow of a Man excels. She is also careful to give time to the sadness of Shahinda who has lost a husband that she loved, and who was a vocal supporter of women’s rights. Although all of them make reference to the turbulent situation, most also note that not a lot has changed during it – at least with regards to their own lives. As Wafaa’s recollections of thirty years past chime all to familiarly with Badreya’s more recent experiences there is a chance that the film could end on a bleak note. Luckily, the director identified four women who inspire great empathy, admiration, and hope. Rather than depicting the revolution in Tahrir Square, In the Shadow of a Man hints that perhaps there is yet another someone on the horizon. In the Shadow of a Man screens as part of the DocHouse strand at London’s Rich Mix Cinema on 25 April, 2013. For more info, visit dochouse.org.